Q: Please tell me how to get my laelia purpurata to flower. I bough one 5 years ago and it has not flowered. I have divided it into three pots. It does seem to grow very long leaves. I grow it with my cattleyas and other orchids, and it is the only one that does not flower. A: There may be several reasons contributing to your laelia’s not flowering. Perhaps you have been too anxious to divide, as L. purpurata like to be a relatively large plant before it begins to bloom. 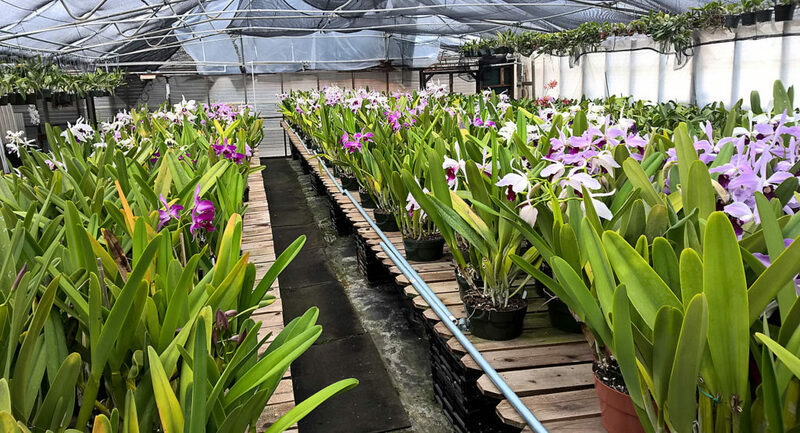 Perhaps your light needs to be higher – purpuratas require very bright light and can be even grown under cymbidium conditions. What you describe as “long leaves” may be diagnostic of this. Or perhaps the plant is simply a weedy grower that will never bloom. This happens in seedling populations, especially of variant types. Let the plants get big, give them more light, if they do not bloom in a year or two, you should discard them.